Fee checklists can sell your project! Your checklist should be far more complete than this one, including all building and site areas an owner might want included. Break a building type into the most discrete components possible. For example, divide a cafeteria into separate elements of food preparation, serving, seating, frozen food storage, fresh food storage, and bulk storage. This is because the more elements you itemize, the lower the price you show for each unit. 1. If the client cannot define the scope in terms of what the facility should include, then possibly some space planning or other study is needed before design begins. This approach can help you negotiate with an owner who thinks the fee should be low, when in fact his or her lack of readiness calls for additional work on your part. 3. If the client is looking to lower total fees, you can reduce the features or number of units instead of simply cutting your price. 4. You have avoided any mention of hourly rates or multipliers. per-unit approach can result in higher sales prices. rate into a rate of $35. “Design a 30-classroom addition with office space and a media center,” with a single lump sum price of $49,250. have charged as a single lump sum—or more. Have you looked at your firm’s organization chart lately? Or do you not even have one? Org charts are useful in firms of all size, from just a few people to thousands of employees. Here are four ways to clean up your organization chart and to make it serve a purpose. Does your firm’s organization chart include any dashed lines or gray boxes? That just adds confusion to what is intended to be a clarifying document. Whether your chart is a matrix or family tree, all paths must be solid, and roles must be identified. Get rid of fuzzy paths, where personal relationships or periodic authority channels reside. The line from lower level (no insult intended) employees to the CEO or owner must be clear. Also, if possible, focus more on roles than on individuals. Titles change and employees come and go, but roles with your firm tend to last. When was the last time you updated your firm’s organization chart? It’s probably out-of-date. Look at it closely – examine every role, title, and pathway – and purge everything that isn’t correct or working. It may turn out that your chart is so outdated that you need to start a new one from scratch. Don’t rush through it, and resist the urge to put employees or lines of communication in certain areas because you’re worried about hurting feelings. An org chart is only useful if it’s correct. Think beyond Excel and Powerpoint! Find a computer application that allows you to not just create an organization, but to manage it. Your organization and its chart will evolve, and you don’t want to start your chart from scratch with every change. There are a number of great cloud-based browser apps and iPad apps that allow you to create and manage visually stunning and clear org charts. A few of the popular ones are OrgPlus.com, Creately.com, LucidChart.com, and Gliffy.com. Some companies only pull out their organization charts when they’re part of an RFP response requirement. Other companies keep their org charts hidden under lock and key, worried that they’ll create office infighting or crush egos. The purpose of your firm’s organization chart is to show clear channels of responsibility and decision-making. This only works if everyone in your firm has a copy of the org chart, and understand where they reside on it. An organization chart is a living document. It should – and will – evolve as your firm changes. It’s not carved in stone. Set up a schedule with your board or senior staff to revisit your organization chart once or twice a year. Not only will this encourage you to update the chart, it will provide a reminder to everyone about the proper channels of communication and authority. The two lists are remarkably similar. Interestingly, technical proficiency was in 10th place on both lists. Yet when firms promote technical people to become project managers, technical proficiency is often their number one consideration. If you are a project manager, how do you stack up in these other important traits? If you manage project managers, are you giving these traits adequate consideration when you decide to make someone a PM? I thought, “Man, that’s exactly the challenge for my clients.” As more and more companies embrace technology-driven marketing, they discover that things change more quickly than they can adapt. It’s exhausting. You never get to stop pedaling. So, to solve the problem, you’ve started researching software and digital platforms in the hopes that there is a singular, highly effective tool that will simplify all of your marketing. Instead, you’ve discovered a dizzying array of software platforms that will allow you to automate email lead nurturing, build A/B landing pages, publish to social media channels, track the whereabouts of small rodents in Antarctica, and at least 37 million other things. 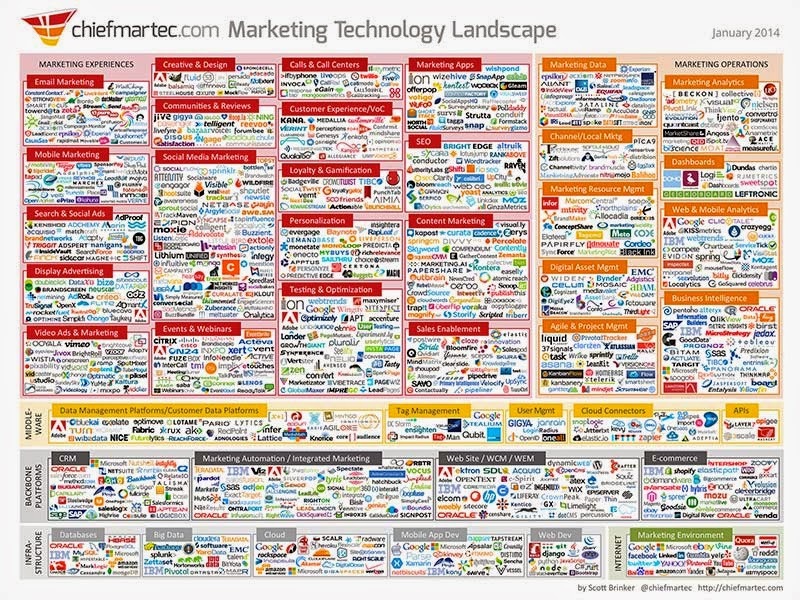 Scott Brinker, a pretty smart guy, put together this summary of marketing technology. So, how is your company going to survive this marketing technology mayhem? 1. Resist your instinct to research first. When you are trying to select marketing technology, it’s tempting to follow your first instinct, don your super-research cape, and save the world. But not so fast, Batman. If you fly off into the Gotham-like netherworld of marketing technology without the proper preparation, you’re in for a super-reality check. Trust me. 2. Get specific with marketing goals. Instead of looking for tools that promise the world, do the tough work of deciding the key goals that you need to reach with your marketing. And get ridiculously specific. If you are trying to generate leads around a new product launch, specify how many leads, what type, and a time deadline for achieving that goal. While you’re at it, bounce your goals off of a few people outside the marketing team, for a sanity check. You don’t want to set your goals out of reach and simply frustrate yourself and your sales team. 3. Only use technology that moves you toward those goals in measurable ways. Keep your focus as you research tools. It’s easy to become enamored with features in one tool over another and completely lose sight of what you’re trying to accomplish to reach your goal. You absolutely must track the progress of whatever technology you use. In fact, if a piece of marketing software doesn’t make it stupid-simple to see what’s going on and track your progress, just pass on it. Otherwise, you’re doing your marketing team a disservice by giving them inadequate feedback on their efforts. While we’re talking about data tracking, let me just add here that you don’t need to track all types of data. You need to track the data that matters. There’s a huge difference between the two ideologies. I know “big data” is the rage for large corporations. If your company is huge, and have skilled analysts, by all means, collect all the data you can. But if you’re a mid-sized company, collecting all data instead of key data will clog your marketing productivity. Plus, if you can’t see and understand data, you’re not gaining any advantage. 5. Stay on board with one technology for six months before jumping ship. Since technology changes so quickly, it’s tempting to jump from the greatest to the latest. Establish some boundaries on how frequently you’re allowed to try a new technology. Commit to fully embracing a technology and really understanding how it helps you before abandoning ship. When you set a limit, you free your marketing team from the unending burden of “finding a new solution,” because you only need to go into full-on research mode a few weeks before your test expires. If you stay focused for six months, you’ll be able to see if a certain tool is helping or not, and the good news is that if it doesn’t work, there’ll be brand new technology available for you to try that didn’t exist six months before. So, it’s your turn. What have you found helpful in dealing with new marketing technology? 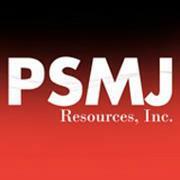 PSMJ thanks Lance Cummins for allowing us to re-publish part of his blog post. If you have this nag­ging sense that your AEC firm web­site could be more than an online brochure, you’re right. The mod­ern web­site doesn’t sit idle wait­ing for the arrival of a vis­i­tor to sim­ply con­firm what they’ve already heard about your firm. When com­bined with nar­row posi­tion­ing and content/inbound mar­ket­ing, a good web­site becomes a busi­ness devel­op­ment tool. If your firm is clearly and nar­rowly posi­tioned to attract a spe­cific audi­ence, then your web­site can reach and engage the unaware. These vis­i­tors may be poten­tial clients or employ­ees. Both are impor­tant to the suc­cess of your firm. A ben­e­fit of know­ing your tar­get audi­ence is know­ing what keeps them up at night. Searchable and opti­mized con­tent on your web­site that soothes client pain points will increase your odds that unaware prospects find you. Once they find you, they will devour your con­tent because it seems like it was writ­ten just for them. “A main oppor­tu­nity is to attract the unaware: those who need your exper­tise but are unaware you exist or not con­sid­er­ing you.” –Mark O’Brien, Author of A Web­site That Works. By reg­u­larly adding unique, expertise-based con­tent to your site, you will boost SEO. You begin to con­vey to Google who you are, which helps Google send the right vis­i­tors. The vis­i­tors like your con­tent because it feels cus­tomized for them. Then vis­i­tors start link­ing to your con­tent. Google notices this and increases your search rankings. A good web­site can allow some­one to get to know (as described above) to like to trust your firm. This hap­pens by demon­strat­ing your exper­tise in writ­ing. This can be blog posts, white papers or monthly newslet­ters. Make sure the con­tent is index­able (not a PDF), so Google, and vis­i­tors, can find it. A com­mit­ment to reg­u­larly adding valu­able and search­able con­tent to your web­site demon­strates your exper­tise and works to pre-position your firm as a leader before the RFP comes out. Con­tent mar­ket­ing is so crit­i­cal for pro­fes­sional ser­vices because we are “sell­ing the invis­i­ble.” Buy­ers can’t see, touch, or test our ser­vices before they buy. Con­tent mar­ket­ing is a no pres­sure, non-sales man­ner for prospects to under­stand how you think, what you believe, and how you’ve solved pre­vi­ous problems. Cre­at­ing engag­ing con­tent is hard to do. Most will give up after a few months. This is an oppor­tu­nity to stand out. The mantra I hear repeated is: A/E/C mar­ket­ing is a rela­tion­ship busi­ness. Peo­ple do busi­ness with peo­ple they know. Yet, I’m shocked how many firms are unwill­ing to high­light firm lead­ers on their web­site out of fear that this tal­ent will be poached. Guess what? Your com­pe­ti­tion already knows who your lead­ers are. If your lead­ers’ loy­alty is so frag­ile that an email from a com­peti­tor will cause them to jump ship, then you’ve got big­ger issues. For more, see the original blog post. WHERE ARE THE NEXT-GENERATION LEADERS? Generational forces are challenging effective ownership/leadership transitions. Over the next decade or so, we can expect a 15 percent decline in 35 to 44-year-olds, while at the same time, the population of firm principals is rapidly shrinking. True too, the psychological contract is changing. Today’s employees (called Generation X and Millennials) haven’t the loyalty that their veteran grandparents had. They value opportunity, and seek it elsewhere if that’s where it is. The solution is in careful recruitment, starting at the college level, and careful cultivation of in-house employees. Where did you find your most recent star talent? Let us know! How would you like your car to drop you off at the mall, go park itself, and return when you’re done at the beck and call of a smartphone app? And, yes, that’s a rhetorical question. Because, um, who wouldn’t want that?! Well, the reality of that happening may not be that far off—with Google’s driverless car technology. engineer Sebastian Thrun on the technology. Since then, it’s made much advancement, including developing powerful sensors, long-range radar, and thermal imaging. Seen as tools for preventing accidents, saving lives, and helping the disabled, autonomous vehicles have already gotten political support, most notably in Nevada and California, and are expected to gain support in other states soon. The impact driverless vehicles will have on the business world is expected to be extreme indeed. With driverless automobiles available at an instant summons—imagine Uber without a driver at the helm—the inevitable question arises: “Who needs a car, anyway?” As car-owning becomes obsolete, information sharing will become a business necessity, as autonomous cars will rely on sophisticated data networks to communicate with each other and within the transportation infrastructure. · Transportation infrastructure is evolving. As driverless vehicles continue to make headway, transportation infrastructure will need to have designs ready to support them. · Cities that accept this technology will generate new business. Lobbyists and political powers that back this new technology will bring their cities to the forefront of development, resulting in more business and economic growth. · There’ll be a change in the design of parking lots, malls, and office parks. · There’ll be more walking and biking options for pedestrians. When the time is right, will you be ready to let go of the wheel? In a merger & acquisition deal, the purpose of the due diligence investigation (besides causing long nights and major stress headaches) is to make sure that both businesses are as they’ve been represented to be. It also uncovers potential problems that might be deal-breakers or issues to address in negotiating. There are different types of due diligence—including “hard” and “soft”—but there are almost always, always small things that fall through the cracks, popping up again like insidious weeds during the most inopportune times (like contract-signing). One of those nasty due diligence “blind spots”, as we like to call them, is backlog. Backlog is a wholly intangible asset—the buyer cannot book the seller’s backlog as future earned revenues, yet the buyer also can’t rely on committed contracts that have yet to start. Some may consider backlog to be “free revenue”—but it is not certain revenue. So, the real question is—what the heck do you do with it? And how do you categorize it? How much has the seller typically gotten from similar contracts in the past? If the contractor already has a relationship with the seller, will you be able to rely on that relationship after the merger or acquisition has taken place? What type of project is it—a project-in-progress, an MSA agreement, or a project that has been proposed, but not selected? The answers to these questions will help solve the backlog riddle and will help you figure out where it goes in the bigger picture. Don’t get caught in a blind spot—ask the right questions and you’ll see clear as day. Most professionals receive between 50 and 100 emails each day. In addition to making your subject line clear and your email body brief and to-the-point, your signature should look mature and not distracting. Here are a few tips on fixing your email signature. Your email signature should include your name, title, company, and primary contact info – which is probably your cell or desk phone number. It doesn’t need your street address, full web address, blog sites, or social media buttons. If anyone needs these, Google is just a click away. And for Pete’s sake, get rid of your fax number, advertisements, and any inspirational quotes. These days, professionals are using their smartphones and tablets to check email and surf the web more than on their computers. Make sure your signature isn’t so tiny that people can’t read it on an iPhone or Droid. San serif fonts are best for small screens. If your signature includes any links, test them on different devices, to make sure they work on phones, on PCs, on Macs, and on an iPad. Is LinkedIn an Effective Tool for Marketing in the A/E Industry? Do you think LinkedIn is an effective tool for marketing in the A/E industry? It has the potential to be a valuable source depending on how you use the tool. The networking effect is the ultimate purpose of the tool—yet, about 80% of people on LinkedIn don’t put their phone numbers on their profile! If you’re in a hurry, well, you still oftentimes pick up the phone. There are a lot of people out there that are still struggling. I’m currently connected to 5400 people, and of those people, there are upwards of 20% changing jobs each and every year. That means there’s always a certain (large) percentage of people that don’t have jobs. So, I asked myself: what if the people I’m doing business with got some advertising? I do what’s called “strategic partner mailings” to my groups—emails that are targeted to groups of people (such as women who own businesses)—and provide them with valuable content that in turn promote my business. It allows me to advertise without having to do the phone calls, without having to chase the money. It is very successful for me and for them. What are your top three tips for people to be successful on LinkedIn? Persistence, persistence, persistence—if you send something out, you’re among the noise; if you send it again, they’ll have to make a decision. One piece does NOT take care of all the needs. It’s imperative to spend more time dealing with all the communication avenues—phone goes on at 7, goes off at 9 (if you’re lucky), and you need to deal with the extra emails. Ask yourself: how do you develop a brand—how do you get that message across to people that are in your network? I, for instance, stress finding work for the circle of people that I encompass. Work for them--then your life is extremely easy. There’s zero cost associated with sending out regular emails and updates via emails, and such activity can help showcase your talent and offerings—so why not do it? What should you NOT do on LinkedIn? Don’t waste my space and time. For instance, do I really need to know your birthday? But, things like job anniversary dates are critical. When a person changes jobs, I give them my cell phone number and tell them if I can help them in any way, to give me a call. LinkedIn helps me to stay current, relevant. How does LinkedIn relate to the A/E industry? In this industry, people are stuck in their ways; they think things are all or nothing. People ask: “If I specialize in this, do I rule out everyone else?” Ultimately, it becomes about being what the end user wants. Put yourself in your potential client’s shoes; answer your client’s questions. Show them you’re the expert. Soon, you’ll find people coming to you—you’ll no longer have to do the chasing. Connect with Dave Kahler on LinkedIn. With 645 million users and 1 billion tweets every five days, Twitter has become the forum for the world’s news, opinions, and gossip. With such a large and captive audience within its reach, businesses the globe over have realized Twitter’s potential to promote their brands. Just less than a year and a half ago, 77 percent of Fortune 500 companies were active on Twitter with a tweet in the past 30 days. Despite that, however, the Harvard Business Review Analytic Services reports that only 12 percent of companies surveyed felt their organizations were using social media effectively. Translation? As a whole, we’re saying a lot (a heck of a lot)—but we’re just not that confident we’re saying it very well. 1) Be human: Your tweeps (or your “Twitter peeps”—those who follow you on Twitter) do not like being sold to, and they do not like talking about brands or businesses. They like authentic, personal interaction. Representing your business on Twitter is an opportunity to showcase a personality and a perspective. Restrain from going in for the “big sell” once someone has interacted with you. Ask yourself: if this person were across the table from me, would I say this/do this? 2) Commit: Twitter is not for the closet commitment-phobe. It requires real, long-term dedication. There’s nothing worse than a company that tweets and runs. If you want to fully engage your client, you need to tweet a lot—two to three times a day is a good guideline. (Here are some tips on what to Tweet if you’re stuck.) To be successful, you need to be consistent. Soon, your client base will be expecting and looking forward to your tweets. 3) Target: Who’s your target audience? This is perhaps the most important question you can ask. Who is your ideal customer? What information would matter to him/her? Focus ALL of your efforts on engaging with your target audience and your target audience only. 4) Share: Share valuable content that is, again, FOCUSED on what is of interest to your audience. If you share too much unrelated information, you’ll lose your customer base fast. Imagine if you’re following a business problem-solving website, and they start posting the latest celebrity gossip. Yes, that’s an extreme example—but if something like this actually happened, you’d be very confused (and probably drop them like a hot potato). Everything outside of your constituents’ interest level should be off-limits. 5) Smart headlines: Create some smart, catchy headlines to attract your reader’s eye. Try witty wording or consider putting the headline in the form of a question that can be answered by clicking on the post in the link. 6) Respond: If someone interacts with you, great! Now it’s your turn. Be sure to respond—and respond quickly. It’ll make the customer know that you value their input and appreciate the time they took in connecting with you. This is no longer a “You’ll hear from us in 24-hours” world—people expect (almost) instantaneous feedback. 7) Pay attention: Why do we like our friends? For one thing, they share the same interests as we do! One important aspect of “being human” in the Twitterverse is paying attention to what OTHER people are talking about—no one likes a self-centered Nelly. What is important to your client base? What makes them passionate? What questions do they have and what answers do they seek? A great (and super easy!) way to find out what people are talking about is by using the search feature on Twitter (http://search.twitter.com). Then use Hootsuite to create lists for your search terms, and you can see live updates from people Tweeting about your topic of interest. 8) Give good info: Become a reliable resource for your customer base. This doesn’t just mean sharing other valuable information (#4 above), but commenting on it. What’s your take on that article? What do you find valuable about the website you’re referring your customers to? Also, be sure to (every once in a while) share original content that you’ve created, whether it be a blog post, a white paper, or an article. And remember, the purpose is NOT to sell! You want your followers to see you as the one-stop-shop for their needs in your particular field of practice. 9) Promote others: Don’t be selfish—be generous with sharing your followers’ tweets and information. The best way to get someone to re-tweet you? Re-tweet them. Twitter is about reciprocity. Give others more exposure and endorsement, and you’ll get more back. 10) Ask: Twitter users love to give their opinions, and more than that, they love to be asked for their opinions. So, if you’re wracking your brain trying to think of a tweet, ask for feedback! Ask what your followers like or don’t like about your tweets, what they want to see more of, less of, etc. You may be surprised by the response.